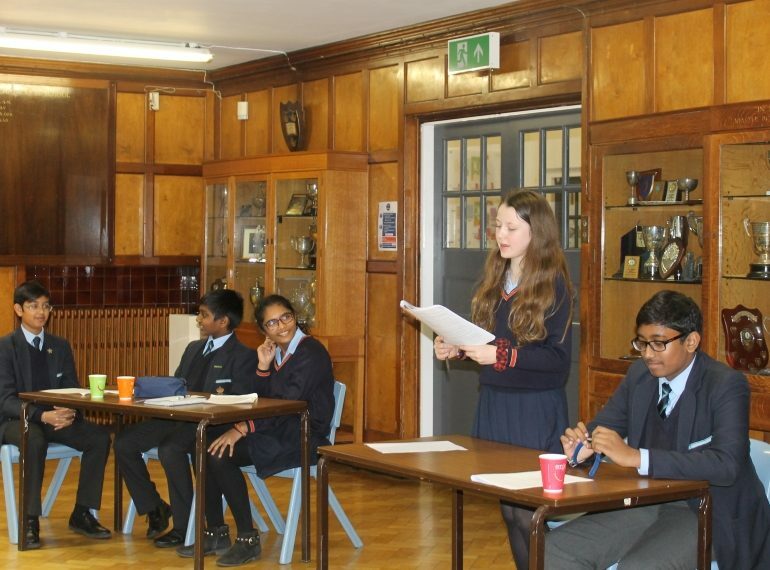 With topics that included a second Brexit referendum, a joint Year 8 debating symposium with a leading girls’ school looked sure to be lively – and so it proved. Motions put forward at the symposium ranged from This House believes driverless cars will make driving safer to This House believes there should be a second referendum on Brexit. 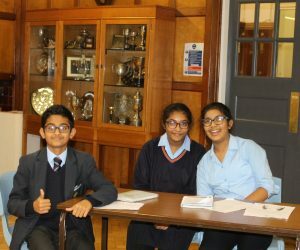 Around 70 pupils from the two schools took part in the event, which followed the Extended Mace format. (Mace is the name of a famous schools debating competition run by the English-Speaking Union). This style involves three pairs of proposers and opposers; two from each side make their case and respond before a floor debate. The last pairing then draw the threads of the debate together to make a final case. The participants were given 30 minutes to research their topics and prepare their arguments before the debates took place. 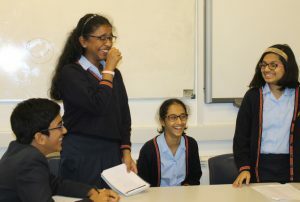 The six best debaters were selected from across all the debates to participate in a final surprise debate at the end of the day. This was on the motion, This House believes that there should be a tax on meat. The finalists were given 20 minutes to get themselves ready.